.......53 Buddhas and Me .................My Life Adventures.....: Why do we need so much stuff?? After travelling around Australia for 12 months in Myrtle I have now returned home and have realised I don't need all the STUFF I have. So with that in mind I am on a de-cluttering, clearing mission. Also while being away and also turning 61, it got me thinking about all those precious things like my best dinner set, Mums favourite wine glasses and lots of other things I store in the cupboards and only use on rare occasions. Even though I have decided to live to 91, we just never know whats around the corner, so why not enjoy the THINGS in our life now instead of leaving them to someone who may not cherish them as much as I do. So my mission is to go through my STUFF and if I haven't used it in years or it doesn't make my heart sing, I will dispose of it or donate it to someone who will use it and/or love it. So I thought each Sunday I would share just what I have de-cluttered and cleared in the past week and if you would like to join me with your own Declutter, Clear and Use Mission, I would love to have you along for the ride. I'd love to hear about your progress and maybe see some pictures. Why not enjoy what we have in our lives instead of have them sitting in a dark and lonely cupboard. I tackled to Linen Closet! Do I really need all those pillow cases that have no sheets to match? 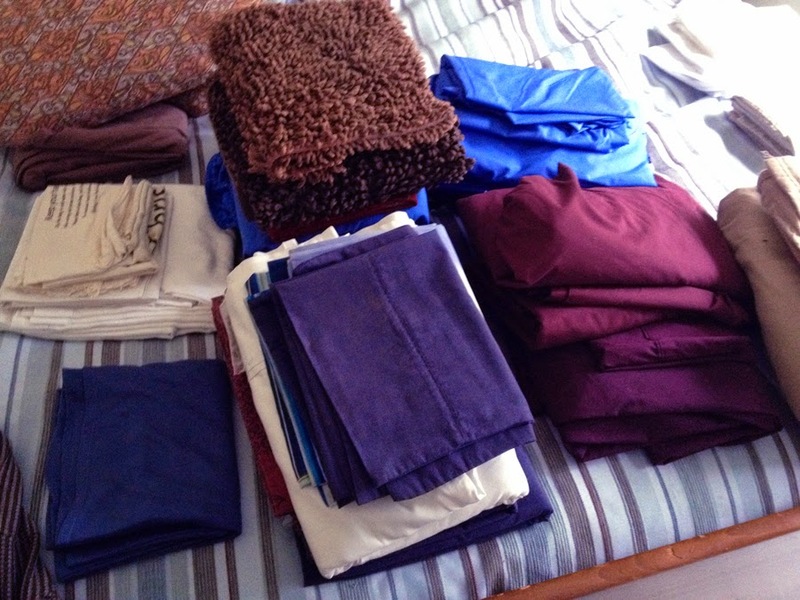 Do I really need so many sets of single bed sheets when the single bed is only used occasionally? Why am I keeping the sheet set that has a hole worn in one of the sheets? is no longer bursting out into the hallway. 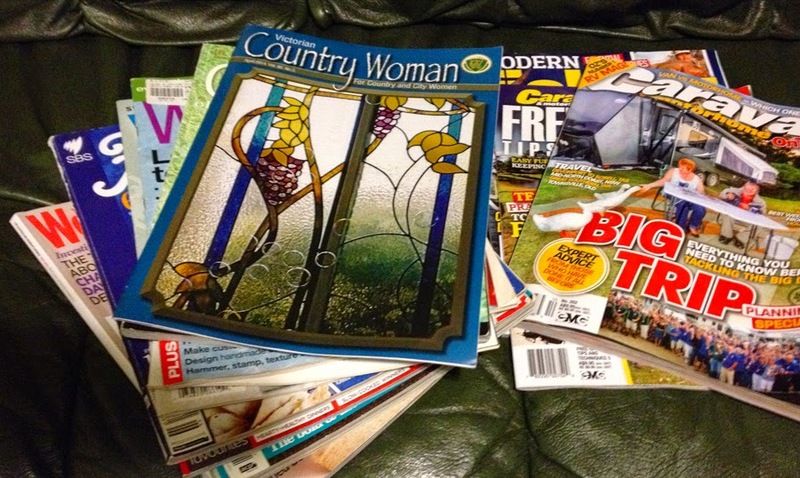 Magazines - I buy them, read them and then for some reason keep them just incase I may want to read them again. Crazy hey!! What was I thinking I am never going to read them again. Normally just before I throw them out I cut out recipes, crafts or anything else I think I might need someday. Yes, you guessed it I never get around to making the stuff I cut out. So this time there was no cutting out! Out they went!! This is such a liberating feeling!